Henry Cejudo earned a dominant KO win over TJ Dillashaw in the main event of UFC Fight Night 143 and became the first man who was given the new UFC belt. After the match, Henry Cejudo said he was interested in another meeting with TJ Dillashaw but only if the two fight for UFC Bantamweight belt. A few days ago, TJ Dillashaw appeared in the episode of Joe Rogan’s podcast and confessed he had a very hard time dealing with the controversial loss. Dillashaw also promised he’d fight Henry in any weight class and called his win “a fluke”. It seems Henry Cejudo reconsiders giving TJ Dillashaw a rematch in UFC Flyweight division. The current 125-pound king also says he doesn’t mind controversy because it creates a great story line for their second meeting. “The Messenger” is also interested in winning Bantamweight belt and maintaining a two-division title reign in 2019. 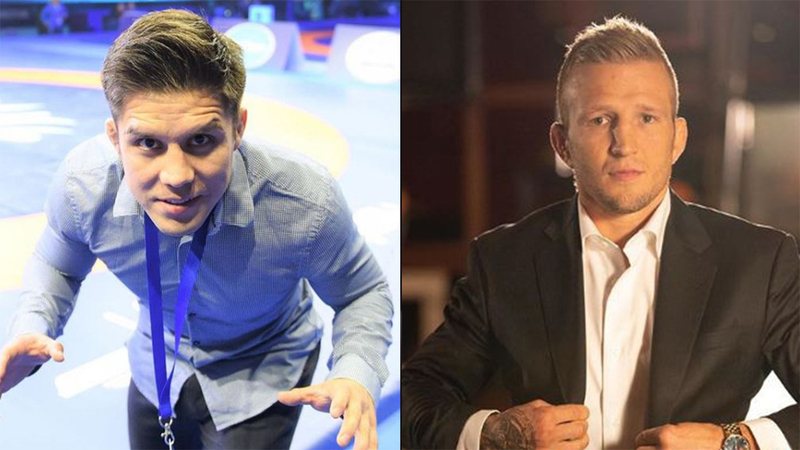 Do you believe Cejudo’s win over TJ Dillashaw was “a fluke”?